Sophie Gale of Australia’s One Step Off the Grid provides the latest update on the Onslow microgrid planned by Horizon Power in Western Australia. 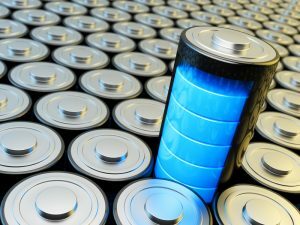 Western Australia regional utility Horizon Power has tapped energy storage company Senec Australia to supply smart battery systems for its leading-edge microgrid project that aims to run the coastal Pilbara town of Onslow on at least 50 percent renewables – and likely up to 70 percent. As we have reported on One Step, Horizon Power’s Renewable Energy Pilot aims to integrate traditional energy sources with solar panel and battery storage systems to maximize the amount of renewable energy in its microgrid in Onslow. The plans for Onslow –– which is a launching base for the massive Wheatstone LNG project owned by Chevron –– will combine a new 5.25 MW gas-fired power plant, distributed and utility-scale solar, and battery storage, each element of which is being contributed to financially by Chevron. And a utility-scale battery was to be built and installed by Contract Power Australia within Horizon Power’s new zone substation, about 3km from the Onslow town center. 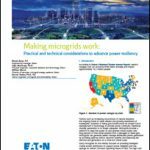 Join us at Microgrid 2019 in San Diego May 14 for a discussion on microgrids as a foundation for DERMS at Horizon Power. The small-scale battery systems, which would be made available to households and business at a price heavily subsidized by Horizon, would be installed by MPS, a Western Australia-based specialist partner of Senec, the company said. 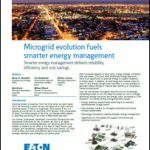 It said the ability to integrate the batteries with Horizon Power’s Distributed Energy Resource Management System (DERMS) –– the microgrid’s centralized control system –– played an important role in Senec’s selection, considering its affiliation with one of the largest German electric utilities. “The commitment to local engineering and technical support was an important criterion for Horizon Power in selecting the partner,” Senec said. “In conjunction with larger traditional and utility scale renewable generation plants, as well as the intelligent control of the microgrid, the pilot seeks to demonstrate that Onslow can sustainably and reliably be supplied with clean electricity,” the statement said. This article originally appeared on One Step Off the Grid and was reposted with permission. Sophie is editor of One Step Off The Grid and deputy editor of its sister site, Renew Economy.